Returning to the silhouette's court and cultural beginnings, however, meant obsessing over every detail that went into crafting the original. For Nike Sportswear, that process began with the last. 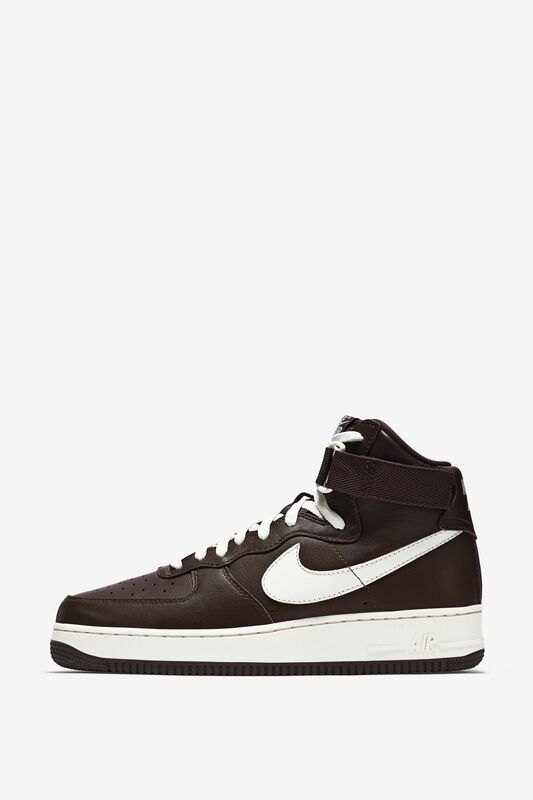 "The first change for us was the last of the shoe. The last is literally the shape of the foot. It gives the shoe upper its shape", says Tolliver. 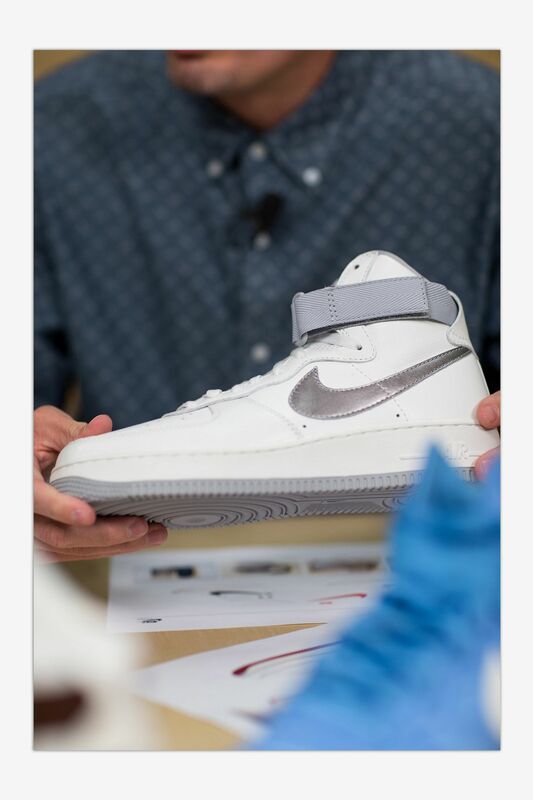 Ultimately, the goal for Tolliver and team was to get back to that sleeker shape of the early AF1, which included tracking down original pattern shells and comparing them to today's silhouette. 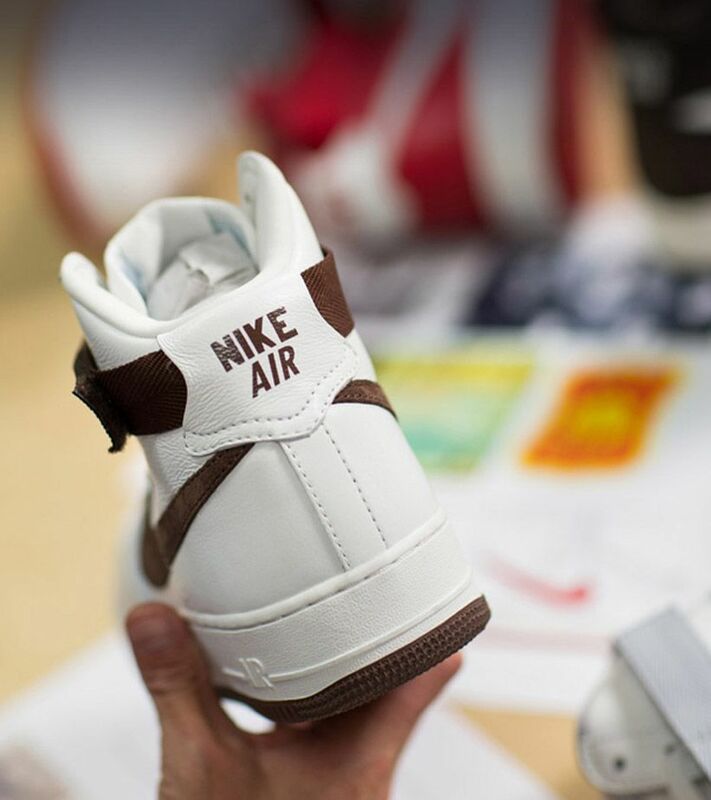 A return to the roots of the Air Force 1 also called for a return to richer leather, which creases in a more natural fashion. "It's really like a high-quality baseball glove that gets better as you wear it. That was the type of experience that we wanted the consumer to have”, says Tolliver. 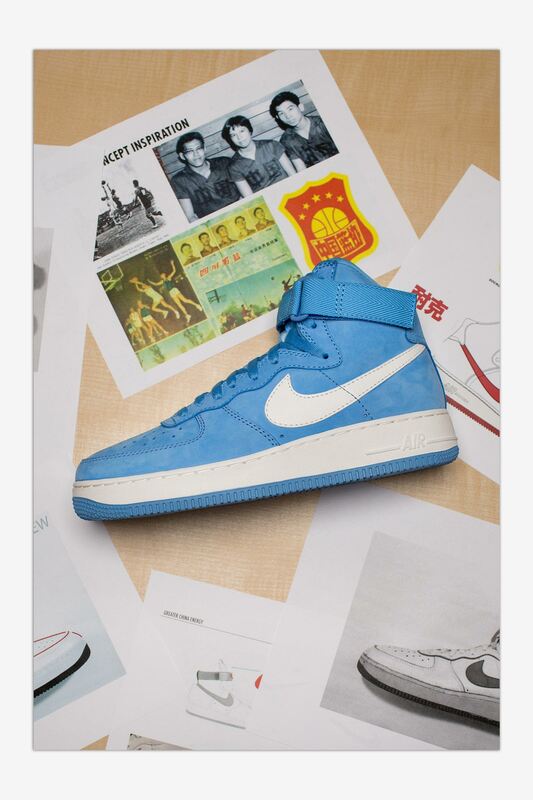 The process of remastering the Air Force 1 also involved refining the legendary Swoosh logo. 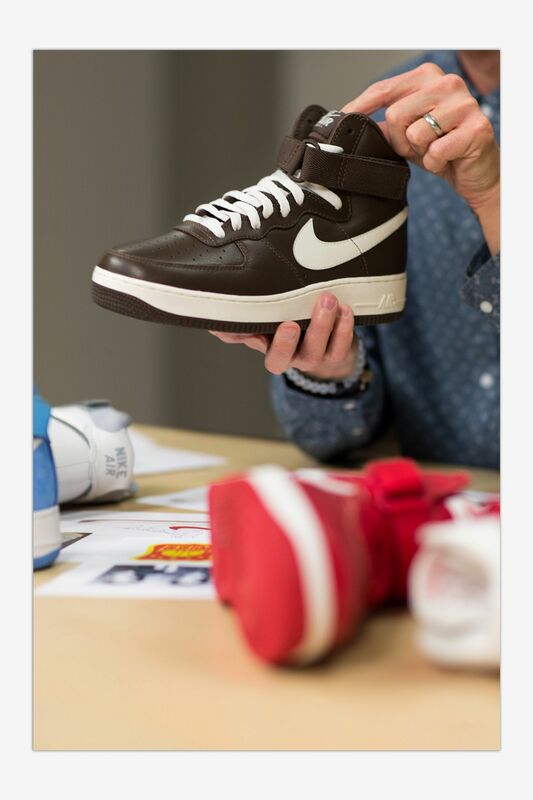 As Tolliver's team combed the Nike archives, they began to notice subtle differences in the shape of the logo itself. 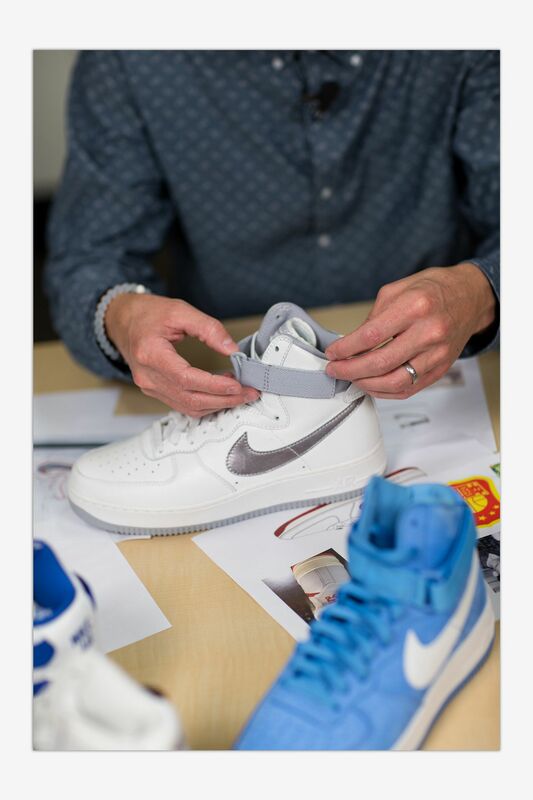 "Being that my category works on shoes like the Nike Blazer and the Air Force 1, we've had a chance to really dig deep into our company's history, and there wasn't really much consistency with the Swoosh back then." 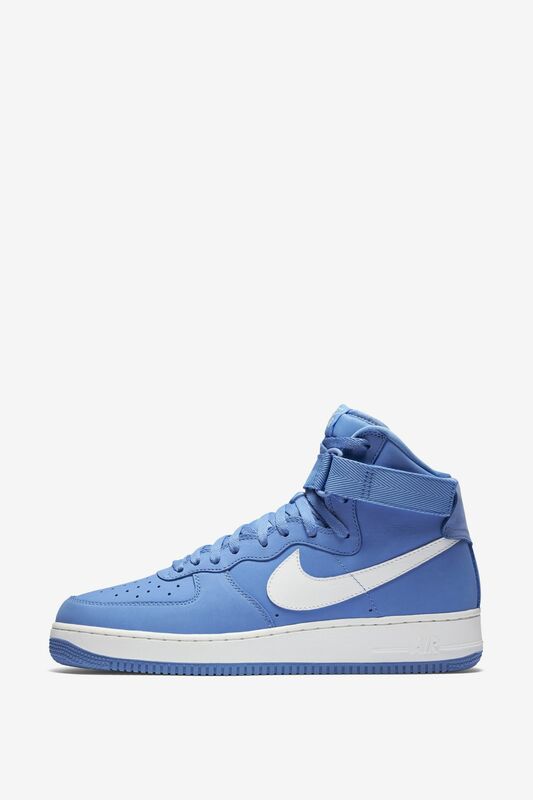 The team ultimately decided to take inspiration from the 1983 Air Force 1, which features a retro-looking Swoosh logo unlike those found on the style today. 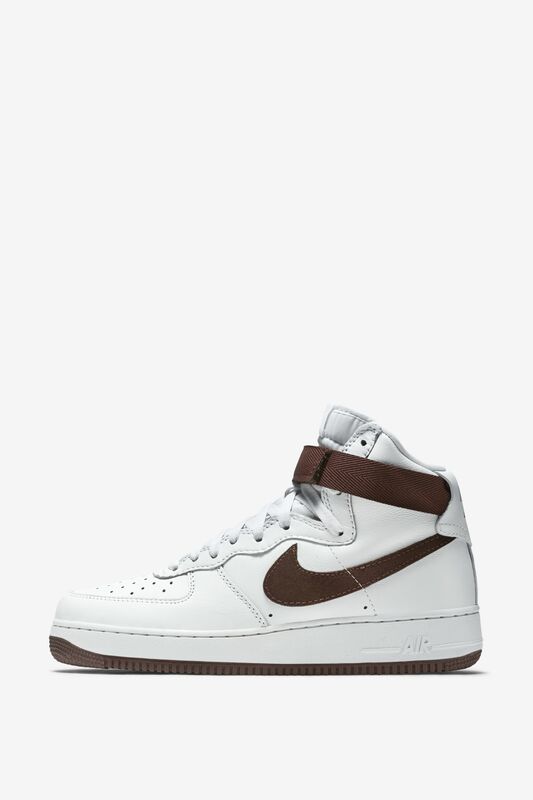 When looking at the new Air Force 1 Retro, you'll also notice there is no heel overlay, which is consistent with the 1983 iteration of the AF1. 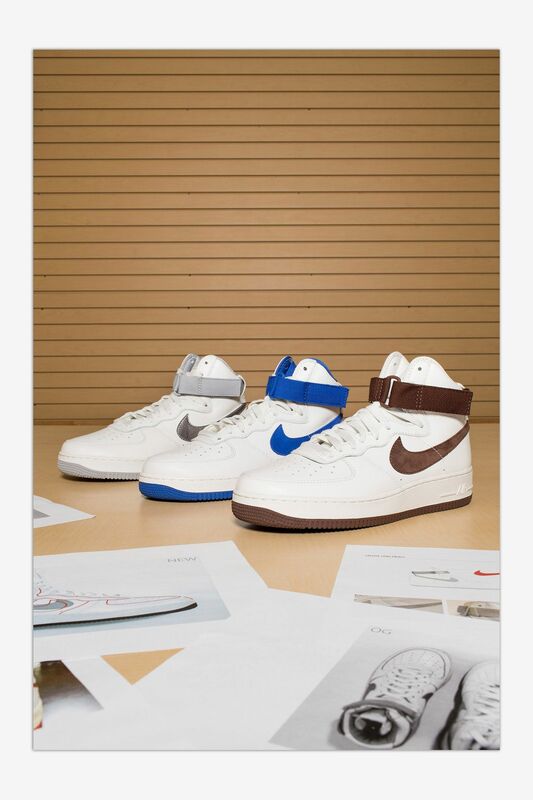 As the Air Force 1 became the cultural icon it is today, the heel foxing became an overlay that allowed for the use of different materials and colour blocking.